Ford unveiled its new car B-MAX at the 2012 Geneva Motor show. Ford is planning to launch the car worldwide, which also includes India. As per the CEO and president of Ford, Mr. Alan Mulally, Ford B-MAX has been made for numerous car markets and hopefully this car will go into production by the end of 2012. When asked if Ford has any plans to launch Ford B-MAX in India, he said that at this particular time, the company can’t commit anything, but one thing is assured that Ford B-MAX will certainly go around the globe. 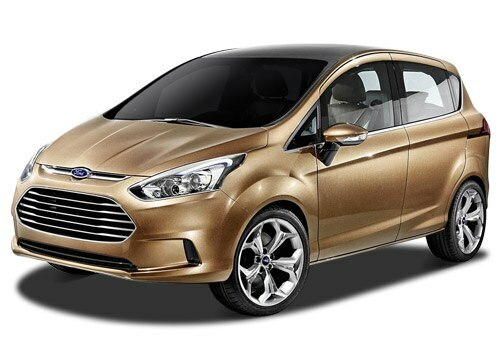 however, if rumors are to be believed Ford B-MAX might be the part of those 8 products, which Ford India is expected to bring to India by the mid of this decade. According to the CEO and Chairman of Ford Europe, Mr. Stephen Odell Ford B-MAX confronts the typical compact car philosophy and it manages to establish a brand new concept that hasn’t been attempted by any other car maker. The company firmly believes that Ford B-MAX will certainly have a major bang on the car markets, which are dominated by compact cars.